Are you a homeowner in Singapore? If so, there is a high chance that you still carry a mortgage loan. 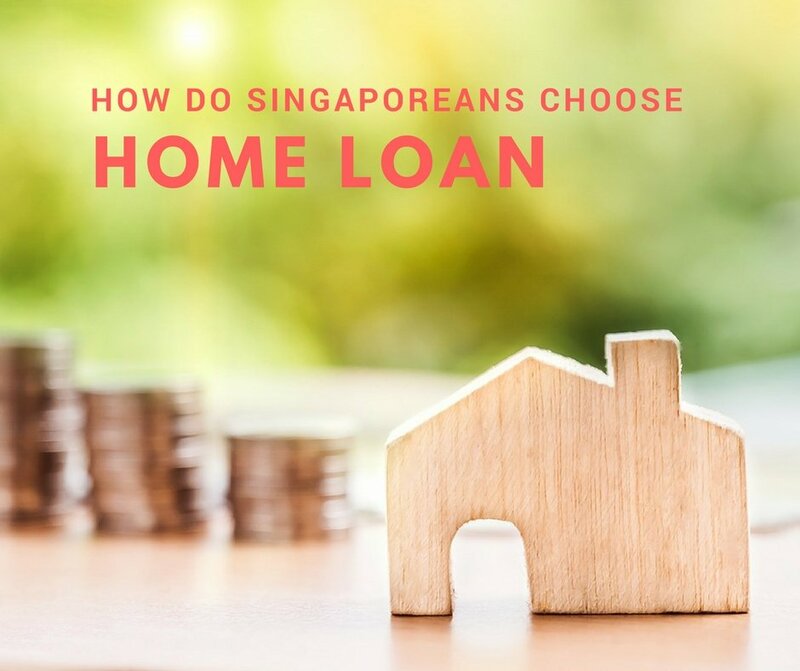 Do you want to know how your fellow Singaporeans choose their home loan package? How is the current interest rate environment affect your mortgage loan repayment? The last time I urged you to refinance your home loan was in 2015. Since then, the benchmark for mortgage loan, Singapore Interbank Offered Rate (Sibor), has made some interesting movement. Therefore, I want to talk out how it affects Singaporeans’ decision. Do they choose a fixed rate or floating rate? which bank do they prefer? This article will shed some lights on the popular home loan choices among Singaporeans. DBS was the first bank who invented Fixed Deposit Pegged loan and it became increasingly popular over the past few years. Fixed Deposit Pegged Loan – This type of home loan takes up 74.5% of the total loan issued. Interest rates on these mortgages are pegged to a bank’s fixed deposit interest rates, normally 18, 36, 48-month rates are used instead. UOB, DBS, OCBC, Maybank and Standard Chartered Bank are some banks that offer this type of mortgage loan. Fixed Rate loan – The interest rates are fixed during the loan’s lock-in period, which varies between 1 to 5 years. This type of loans remains widely popular mainly due to the anticipation of a rising interest rate environment. A fixed rate loan offers stability and ease of mind to you. SIBOR/SOR pegged loan – In such loans, the mortgage interest rates are “floating rates” using SIBOR or SOR as a reference. For example, your mortgage rate could be “1-month Sibor + 0.65%”. A few years’ back, such packages were very popular, but they fell out of favour recently. This is because floating rates are subjected to not only the bank’s lending rates, but also the changes of foreign exchange rates (such as the USD). In case you do not know, Singapore’s interest rate is largely affected by US interest rates policy. The monetary tightening policy will definitely affect Singapore in the near term. Board Rate – the interest rate of this type of home loan are largely determined by the bank “internally”. Today’s consumers are much smarter and demand transparency, thus it is not difficult to see why such home loans are not popular. First, Redbrick only studies private loans and most of these loans are for private properties. 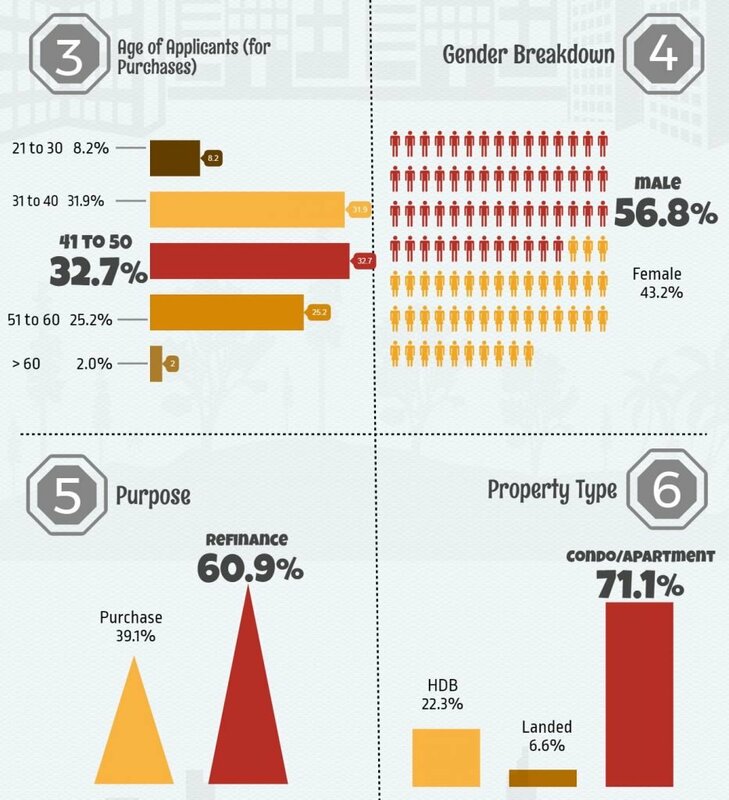 Is it true that most Singaporeans are first-time private property buyers? 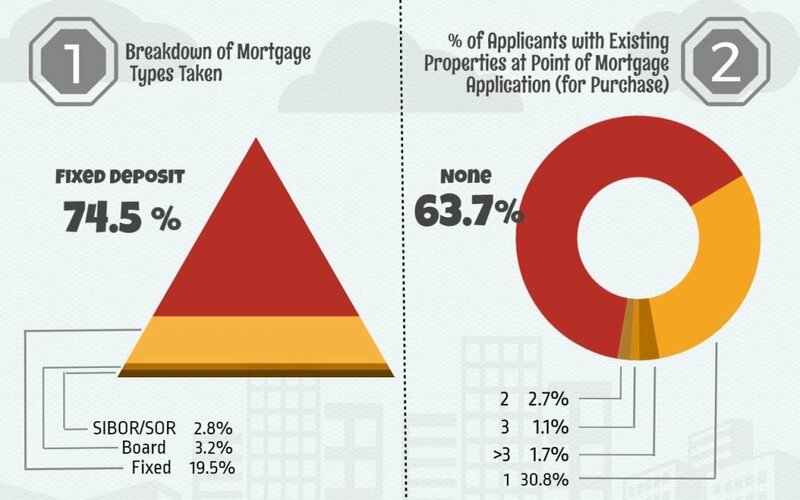 In fact, only 5.5% of the applicants owned more than 1 property at the point of application. If so, all these media hype about Singaporeans making a fortune from the property market is really for the very privileged minorities. The findings are not surprising. Majority of the mortgage applicants analyzed fell within 31 to 50 years old, making up 64.6% of the total data. If you think about it, first time homebuyers are likely to obtain HDB loans as opposed to bank loans, as the former requires lesser cash upfront, among other advantages. So we can reasonably assume that most applicants are either home upgraders or those who have stronger financial positions. In another word, there is a lot of cash among this generation hungry for investment opportunities. Just recently, a few of my clients have committed to new property purchases because “the property market is recovering”. They all have standby cash in the past 2 years waiting for this moment. On the other hand, there is a significantly lower proportion of applicants between the age of 51 to 60 (25.2%) and above the age of 60 (2%). The reason is simple, these people either fully paid the house or they cannot obtain a new loan due to the age and income. Here is the thing you need to think about. We all get old one day. What is your plan when you still have a mortgage obligation after you retire? Are you still be able to play the property game the way you do when you are younger? The whopping 60.9% of the homeowners seeking for refinancing shows that people are worried about the rising interest. This is consistent with our earlier finding that the most people use fixed deposit rate or fixed rate for their mortgage package. I have always liked Standard Chartered Bank (SCB)’s mortgage bundles. And true enough, they managed to attain 28% of the pie in terms of banks of applicants’ choice. SCB’s bundles include the 1% interest rate for the first year of Fixed Deposit mortgage as well as their MortgageONE SIBOR or MortgageONE Fixed Deposit Rate scheme which are solely for private properties. This unique scheme operates as an interest off-set account where monthly interest on a mortgage is reduced by offsetting it with interest from your deposits. Additionally, any excess interest earned is used to reduce your outstanding loan principal. At the same time, Singapore’s local banks – DBS, OCBC and UOB, still remains the top 3 preferred banks. You can also check out a detailed list of mortgage interest rates. Other relatively popular banks include Maybank (MB), Bank of China (BoC), Citibank and HSBC. To summarize, I believe that the Redbrick’s study reflects the choices of mass affluent property investors. These people are smart and agile, and the study gives us a good indicator of where the trend is going. You may not take notice of fixe deposit pegged loans or the mortgage bundle from Standard Chartered Bank, but they are the most obvious choices. To find out more about these home loan packages, simply compare the offers here.